We had a fun filled 4th of July weekend! I hope you did too! We celebrated my daughter's first birthday! I can't believe it has been a year already. I feel so blessed to have her a part of our lives. I created several beautiful projects for the party and one of them is featured on Craft Warehouse's blog today! These glitter mason jars are just so perfect and have such shine! The glitter is in a spray can and doesn't come off onto your hands when touched. It is like a miracle. 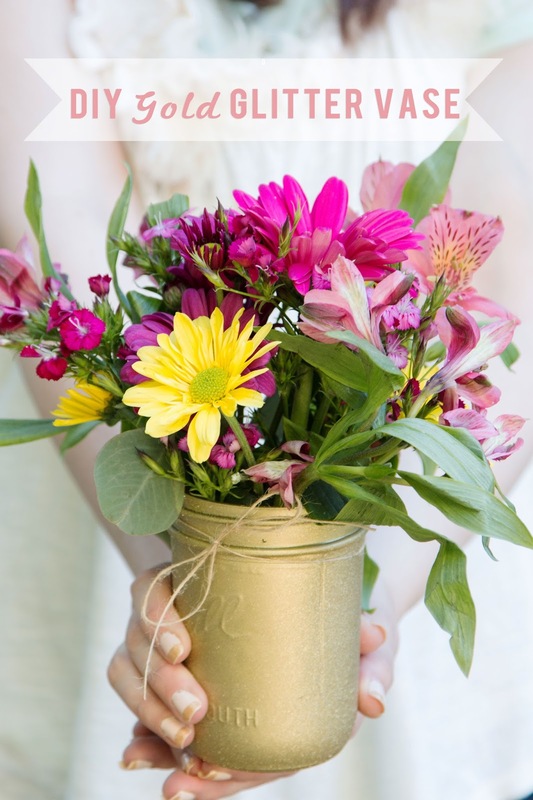 Check out the blog post here and also a tutorial in making your own flower arrangements! Create Well: A little bling never hurt anyone.